MBARARA – Bad blood has continued to boil in Mbarara between Mbarara Municipality councillors and mayor Robert Mugabe Kakyebezi and his executive over misappropriation of UGX1.7b for the solar street light project without the council’s approval. Councillors urged that Mr. Kakyebezi and his executive took it upon themselves to implement a street light project on Mbarara Hight Street and Kijungu without seeking approval of council in December last year. The project stretches from Mbarara University of Science and Technology up to Mile Two on Mbarara-Masaka Road. 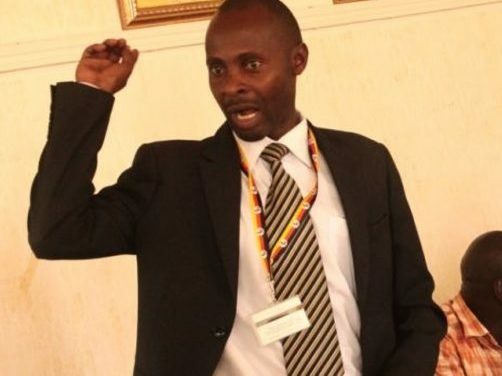 Mr. Heyman Mwesigwa Shumbusa, the chairman finance, planning and administration committee raised this concern while presenting his report to an extraordinary council meeting on Thursday, March 28. It was noted that UGX1.7b, the balance on USMID funds, was hurriedly allocated to street lighting with no due diligence procedure prompting the finance committee to recommend for the value for money ascertainment. It was further revealed in the report that in a span of three months after the implementation of the project over 20 lights are completely off, they don’t light at night implying that Mr. Kakyebezi and his team bought substandard lights calling for the proper audit report. “Why the hurry? Why didn’t you consult the council before implementing this project? When you look at the street lighting that was done by Abubaker Technical Services on the roads like Buremba, Bucunku and Bananuka Drive, all are the lighting but those which were bought by Kakyebezi and his team are completely off, why?” w%ondered Yusufu Kakembo councillor representing Kiswahili Cell. Mr. Nobert Samsu, the councillor representing Nyamitanga also accused Mr. Kakyebezi and his team of having denied council a chance to have an input on which project to undertake rather than using UGX1. 7b to do street lighting which he said should not have been the council’s priority. “We have so many issues at hand to work on like roads, improving on our schools and health but these people rushed to buy street lights and moreover as councillors we just saw a project being implemented even the area councillors were not put to a know, this implies that something fishy was taking place, I wonder how these people came to decide for council on what project to undertake through you speaker can the mayor explain who granted him permission to do street lighting, ” Mr. Imam Kagiko councilor representing Katete ward submitted. Mr. Kakyebezi was granted a chance to explain but declined to answer but rather tasked Mr. Muzamir Ssekajja, the secretary for works and development to explain on his behalf. “This project came up given the fact that the money was on the account and the ministry of finance wanted to take it back because this was a balance on the USMID funds, so were tasked to use it before December, 31 we were given a little time to have appropriated this money and there was no time to call for a council meeting to consult you, we opted as executive to undertake that project, ” Mr. Ssekaja explained. Mr. Ssekaja explained that they found out that the solar panels of the lights were faulty and that the contractor has gone back to china to procure other panels. According to the letter dated December, 27 from the then town clerk Edward Lwanga indicate that three companies had submitted their bid notices to take on the project and these included Abubaker Technical services, Kenvic Enterprises and Zhongheng Construction Group and Kenvic emerged the best-evaluated bidder to provide solar street lights on Mbarara high street, Kijungu road and park of Masaka road and the contract agreement was signed on December, 3 . But the then municipal engineer Silver Byarugaba and municipal treasurer Richard Kerere refused to sign on the agreement and a certificate of ward was not given to Kenvic Enterprise. Later due to undue influence the contract was given to a chine firm of Zhongheng Construction group on unknown circumstances.